Binocular vision dysfunction (BVD) is a visual disorder characterized by misaligned eyes. As a result, the eye muscles are put under constant and heavy strain in order to achieve a single, clear image from the visual information received. This particular visual disorder can be a condition that one is born with, or it can be acquired after suffering a traumatic brain injury or concussion. Patients with BVD can have either a dominant left eye or a dominant right eye. BVD can be a congenital condition, though it can also develop after a traumatic brain injury (TBI). It’s best to consult a TBI concussion and vision expert to properly diagnose whether you’re suffering from BVD. Patients who have BVD have reported experiencing symptoms such as double vision, headaches, dizziness, and eye strain. Other symptoms include shadowed, overlapping or blurred vision, losing track of or skipping lines when reading, the onset of immediate fatigue while reading, sensitivity to light, impaired balance and coordination, poor depth perception and neck pain. These symptoms can also affect sleeping and learning patterns, which can greatly upset a patient’s overall wellbeing. Using non-invasive special lenses, your eye doctor will first evaluate your eyes to determine the extent of the misalignment. Prism lenses fitted in a pair of eyeglasses will then be used to realign the eyes. Prism lenses adjust the images to level with the natural position of your eyes to ease the visual strain. Patients can expect a 30-50% vision improvement immediately after wearing the prism eyeglasses and a 70-80% reduction of symptoms within the first few months of wearing the specialized glasses. 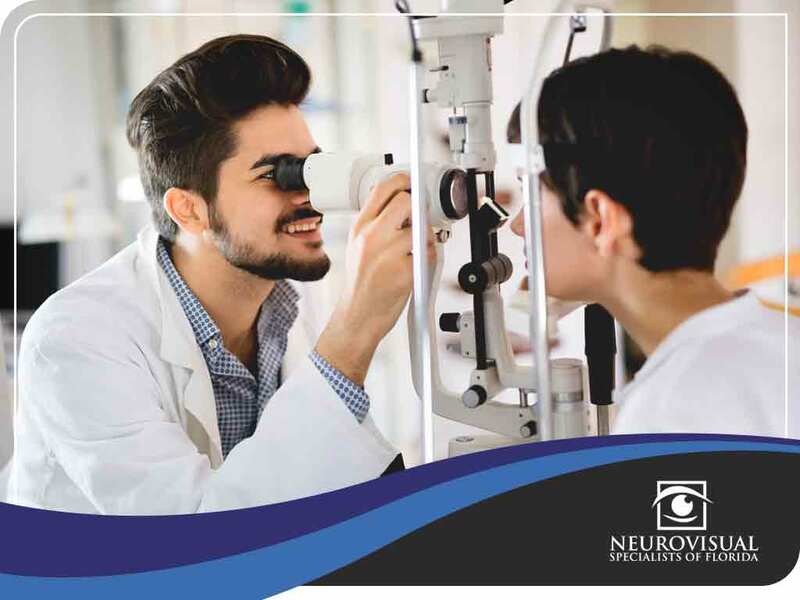 NeuroVisual Specialists of Florida and iSee VisionCare provides high-quality eye care products and services for all. Call us today at (561) 733-9008 to schedule an appointment. We work with patients in Boynton Beach, FL.